Protoshares (PTS) mining was initially possible only with the use of your CPU, but recently there have been multiple miners released for GPU mining with support for both OpenCL on AMD and CUDA on Nvidia GPUs. The GPU mining clients are providing a much higher calculation rate than what CPUs can, so GPU mining for Protoshares is the way to go at the moment if you want to make some profit. Using CPUs only for mining the profit you will generate in terms of PTS and exchanged to USD will be very low per day, pretty much only able to cover your electricity costs, but with GPU the situation is completely different. If you want to use CPUs for mining a crypto, then we would suggest to go for Primecoin (XPM) where only CPU mining is possible for now. 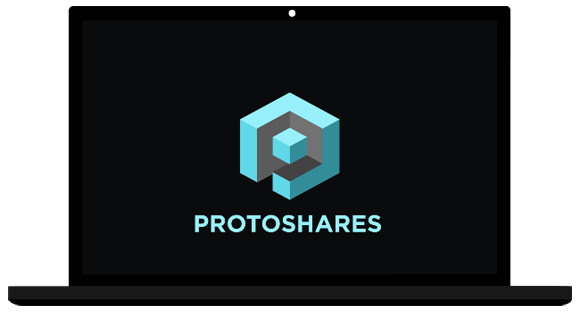 With Protoshares there are just a few pools available where you can mine and the different pools have their own clients as they use different protocols, though there are some clients that can support multiple pools as well. The good news is that there are already multiple miners for CPU and GPU that might work with most if not all pools for PTS, so you just need to try them out and see what works best and what gives you the highest performance on your mining hardware. This is especially true for GPU mining where the difference in performance between different GPU miners can be up to 100%. With GPU miners however you should also check if they have a developer fee and how bit it is – a percent of your earnings goes to the miner developer. Ypool.net is the biggest PTS pool at the moment (also supports XPM and few other cryptos), however the pool uses a bit specific mode for calculating your earnings per block and has a 5% fee. The longer you mine, the more shares you will receive. Additionally each share is associated with a different value, called the share value. Depending on how ‘useful’ the share was you will receive more value. At the end of each round your share value will be used to determine how many coins you have earned. Also note than on Ypool’s howto page for mining Protoshares you can only find a CPU miner, though you can also find GPU miners that will work with the pool. Also in order to withdraw your mined Protoshares you need to have at least 1 PTS available in your balance. 1GH is a smaller pool than Ypool, but is growing well and is an easy and simple solution to get you started. It is one of the best pools for GPU mining with a high performance GPU miner available for Windows and Linux, though you can also CPU mine with YAM Miner with optimized miners available on their website. Due to the lower number of miners currently you will need to wait for more time for block solving, but the earnings per block will be higher. The pool earnings per block are based on the number of shares you contribute (Round-Based Pay Per Share – RBPPS) and the pool fee is 3.5%. Payouts here are made automatically when your balance reaches at least 0.1 PTS. Ptsweb Beeeeer is a very simple plain-text web interface PTS mining pool with no registration required. There are multiple miners for CPU and GPU available that support it, but you need to check what works best on your available hardware. The pools has a 2.5% fee, uses proportional payment system at the moment, and payouts are made when blocks are confirmed (delay of 120 blocks) and you reach at least 0.2 PTS balance. ProtoShares pool is another simple mining pool with a 3% pool fee, payout according to last round shares sent immediately to your wallet. The mining software recommended by the pool is for CPU mining only, though you might be able to find a GPU miner that will work as well. PTSpool – 3% fee, 9 hour delay on payments no minimum, and upcpu – 2% fee and 0.1 PTS for automatic payment. These are Asian pools with simpler interface that you would be able to use even if you are not good with their language. Both pools support CPU and GPU mining. – BitShares PTS Mining Support and Pools Forum..